Respawn Entertainment producer Drew McCoy recently took to Twitter during a recent flight to answer a few questions about the studio’s just-launched Xbox One and PC shooter, Titanfall. @CountdownEnded Yeah, we’ve been getting reports of chat issues. Looking in to them for fixing in future patch. @joelbowes Tweaking + adjusting matchmaking and lobbies is an ongoing effort. We’re getting tons of great data on the backend to improve it! As a quick reminder, McCoy explained that private matches are going to be implemented in an upcoming patch, as is a fix for the PC’s frame rate cap, which is currently locked at 60 FPS. McCoy also talked about plans of increasing the Xbox One version’s resolution, saying that priority is given to performance. Lastly, McCoy reiterated that game modes with higher player counts would likely not be included in any future updates, though he didn’t give a downright “no”. @MrClutch514 Any change, especially playercount, is a huge deal for a tightly designed game like this. More than you could imagine. 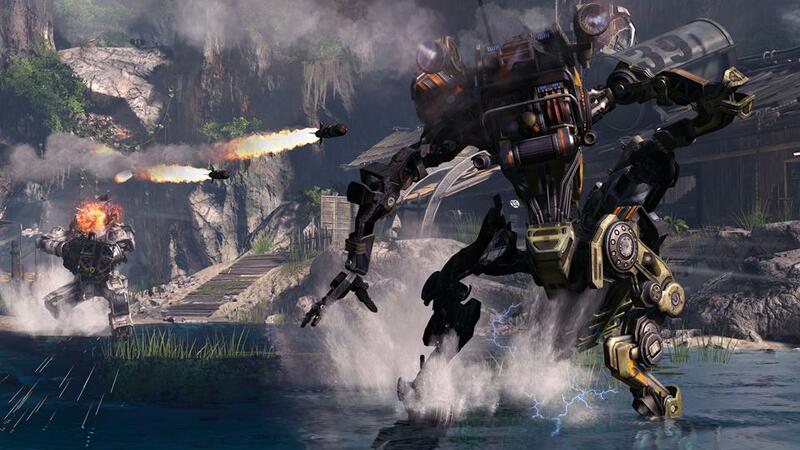 Keep your sights on MP1st for more Titanfall details!